Designing a training course that is both effective and engaging can prove to be difficult. 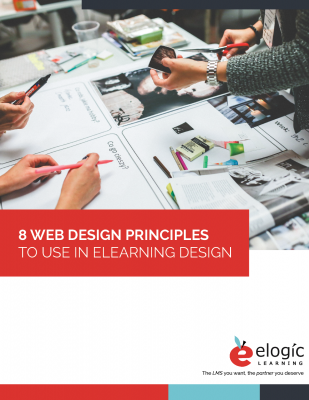 However, using these 8 web design principles will help improve both and provide better training results. Believe it or not, the font you choose can have a big impact on whether content is effective or not. Colors, too, play a big role in effective e-learning content. Colors can be too bold, too muted, or clash. Not sure what this means? No problem! We cover it in this ebook and it's DEFINITELY something you want to know about. This is the natural pattern our eyes follow on a screen. Does your learning or training content follow this pattern?